Fancy getting yourself a Virtual Reality Headset but not sure which one? It’s a bit early to actually buy one right now: most headsets, like the Oculus Rift, are developer’s kits that cost a pretty penny. Others, like the Samsung Gear VR, don’t have enough content and are pricey, too. But there’s one headset out there that is easily the most accessible, and also an arguably fun DIY project: Google Cardboard. To play 3D movies with Google Cardboard, first you need to convert 3D movie to Google Cardboard supported file type. As we know, Cardboard theater supports SBS, Over/Under and Red-Cyan anaglyph formats as well as plain 3D movies in all formats originally supported by your phone. Here, aPubsoft Blu-ray Ripper that supports handling 3D Blu-ray/DVD disc is necessary. Read the review. With this top Blu-ray Ripper for Google Cardboard, you can easily convert 3D Blu-ray movie no matter from Blu-ray disc, Blu-ray movie folder, DVD disc, MKV, AVI, VOB, WMV, Tivo, MPG, FLV/F4V files and export Anaglyph, Top-Bottom, Side-by-Side 3D video supported by Google Cardboard unit/Oculus Cinema with the best quality easily. If you are a Mac user, then aPubsoft Blu-ray Ripper for Mac is your first choose. Step 1. 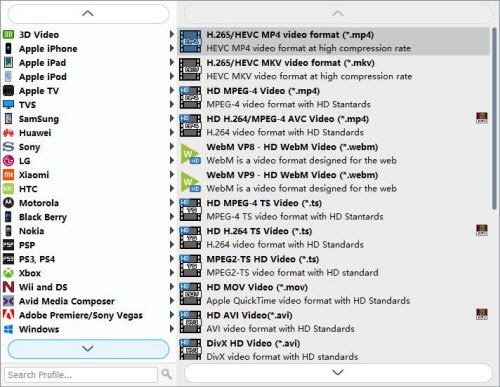 Run aPubsoft Blu-ray Ripper as the best Video to Google Cardboard Converter, and insert your 3D/2D Blu-ray or DVD disc to drive, and click “Load Disc” button to load Blu-ray disc/ISO/IFO files, DVD movies or other 2D videos into this program. Step 2. Click “Profile” bar on the interface then navigate to “3D Video” category, and choose “MP4 Side-by-Side 3D Video (*.mp4)” as output format for Google Cardboard. Tip: Click the “Settings” button to go into “Profile Settings” panel. 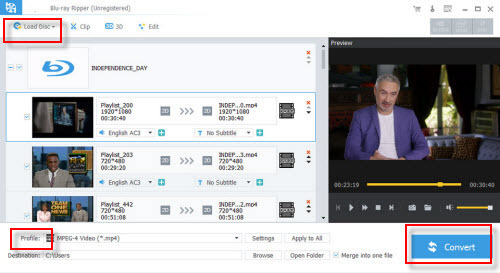 You can adjust codec, aspect ratio, bit rate, frame rate, sample rate and audio channel or 3D Depth in the interface according to your needs and optimize the output file quality. Step 3. Hit the “Convert” button to convert Blu-ray/DVD/Videos to 3D SBS MP4 for Google Cardboard with original quality preserving and perfectly 3D effect. After conversion, you can hit “Open Folder” to find the generated 3D SBS MP4 videos. Then, you can transfer the converted video files to Andorid/iPad or iPhone and other devices for Google Cardboard enjoyment.